Winged Wheels were sold complete in a wheel, ready to instal into any bicycle. But this one is rare because it was supplied new in 1953 already fitted into BSA’s own frame. Observe the curved top tube and Webbs forks. The machine is in good original unrestored condition and has a current V5C registration document. It has not been fired up for a few years, but should run after a service. 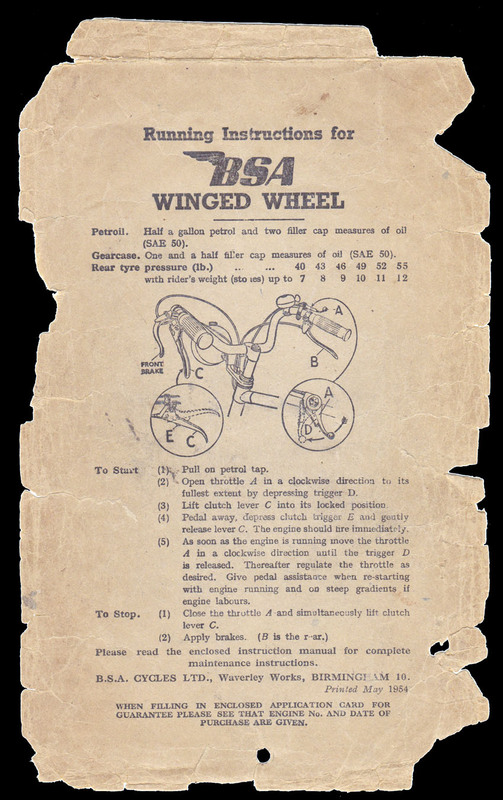 The BSA Winged Wheel made its debut in 1953. But within a year the writing was on the wall. New-fangled things called ‘mopeds’ were suddenly all the rage – they were faster, more stable and had gears. Nevertheless, the Winged Wheel did have the irrefutable name of B.S.A behind it, and no doubt many were sold because of this. 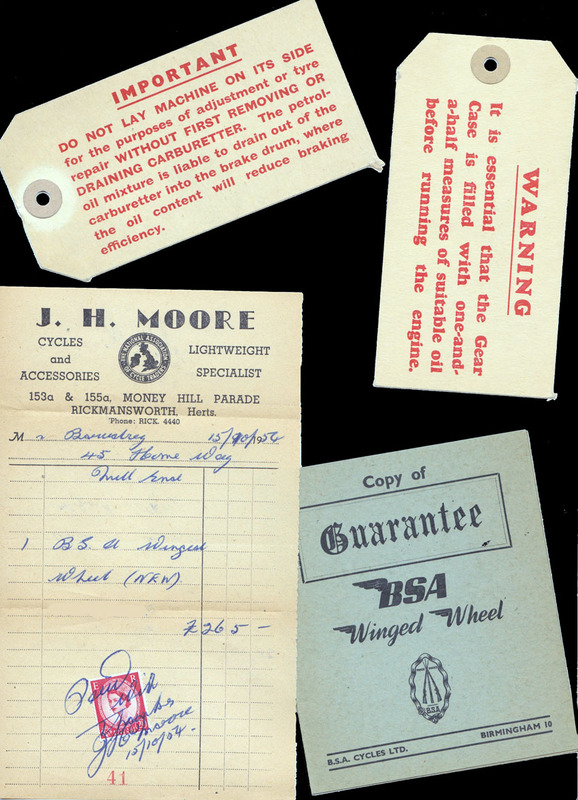 The Winged Wheel was the only ‘powerwheel’ available to the British market besides the Cyclemaster. So although, by 1955, cycle attachments were being displaced by mopeds, the Winged Wheel did hang in there for a few years and quite a few were sold.